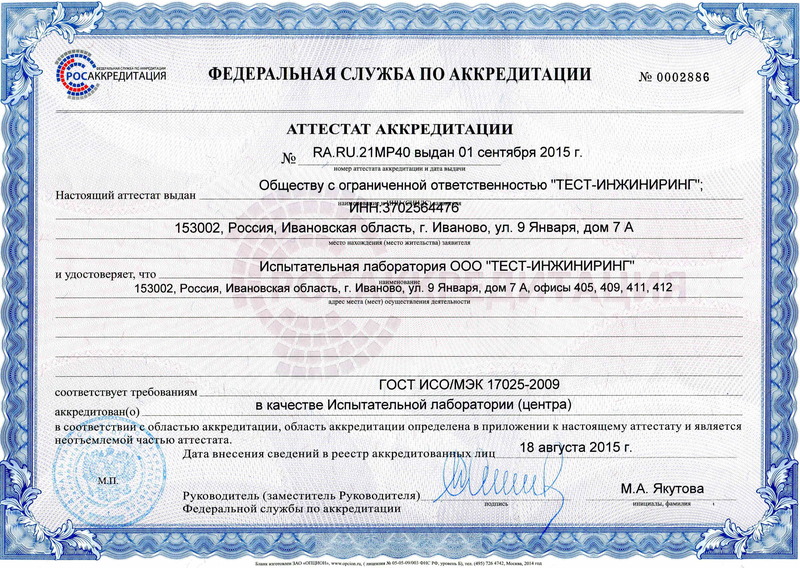 A certificate about certification of non-destructive testing laboratory № 52A022451 issued by JSC "RusEC." We have all necessary certificates and licenses for working. All our reporting documents have legal effect. 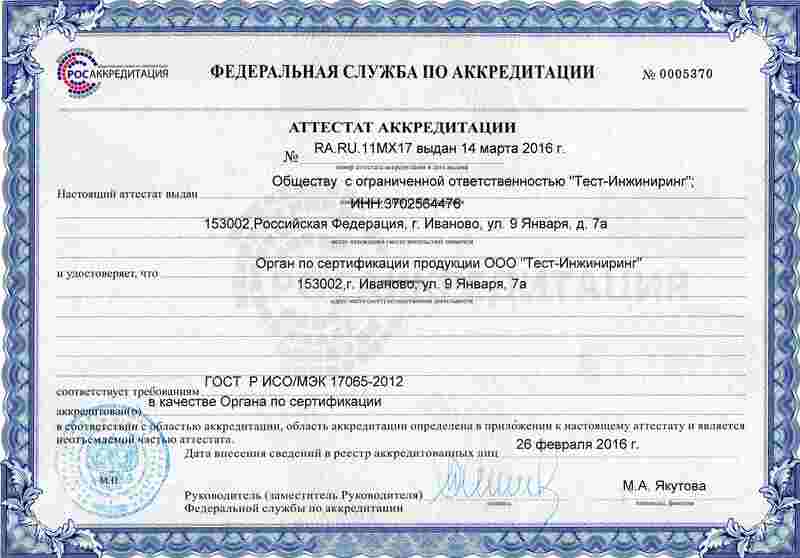 You can find copy of our attestations at main page of our website. Our main office is located in the center of Ivanovo. If you want to meet with our experts in Moscow, we will arrange it for a few hours.